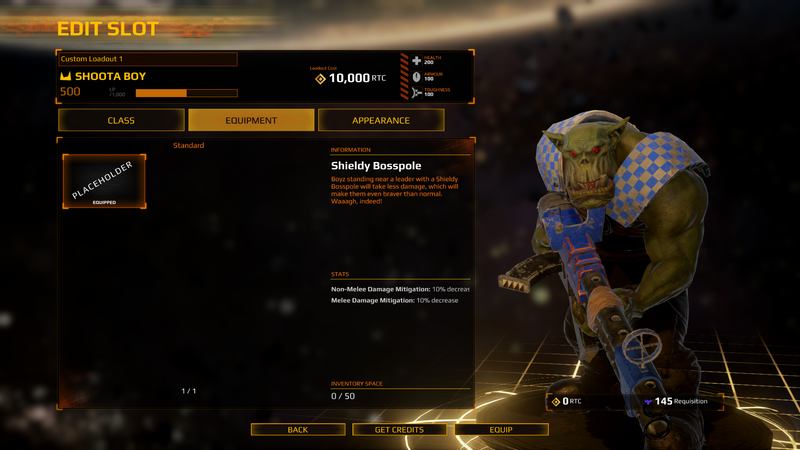 Finally there is a progressive shooter for Warhammer fans on the market: Warhammer 40,000: Eternal Crusade. Available now, you can buy the game and have a blast by shooting away in this shooter with MMO elements. Join one of the four factions to fight for, and before you know it you are on the battlefield with your brethren trying to win back every fight in this persistent world that is at war. I was given the chance to try out the game just before release, and I had an absolute blast! Before you head out onto the battlefield you will first have to make one important choice. You can only make one character per faction, and therefore you will have to level each character up separately if you want to play with all four factions. 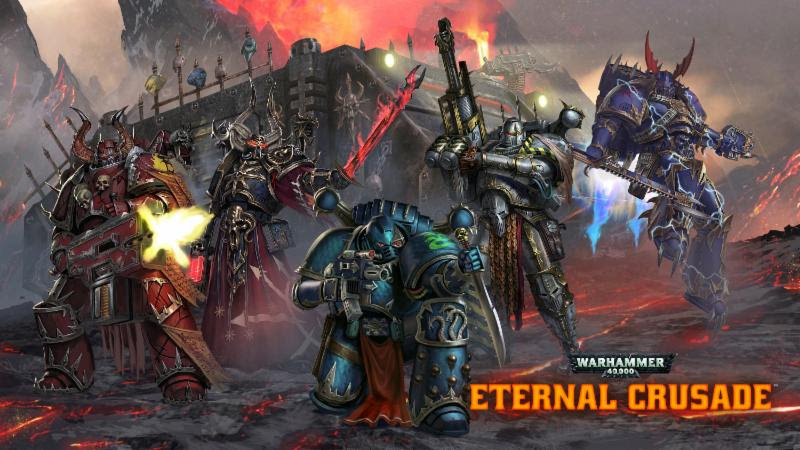 You have to treat Eternal Crusade just like a MMO. The elements are put into place for you to level up your character, unlock bonuses for them, and give them a few different sets of loadouts. But when it all comes together, the game feels more like a shooter in a persistent world where you fight for survival. The first faction you choose is probably the one you will stick the longest with, though you can always fight for other factions. I initially picked the Orks, and while I did test out the other factions, in the end I really felt like the Orks were my home. Even though in the current state of the game Orks aren’t necessarily the strongest on the field (quite the opposite actually) I do felt at home with my brothers on the battlefield. The brutal approach, the unreliable weapons, the awful recoil didn’t stop me from having fun. We aren’t winning a lot right now, but we are losing in style, and we’re trying to make it a challenge for the enemy. If people were to ask me what type of game I can compare Eternal Crusade to, I’d probably tell them it’s like one of the last Battlefield games. The game is really straightforward in its objective. 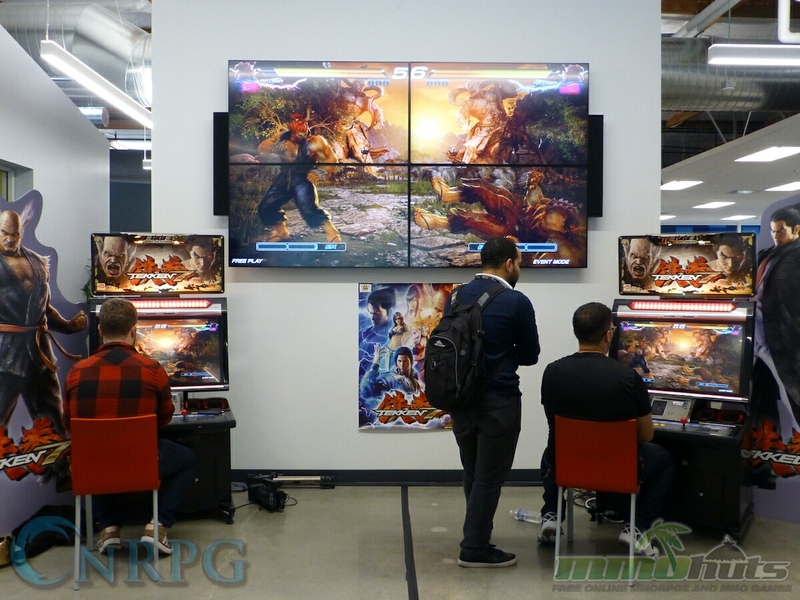 Despite having a few different game modes, including ones that please the PVE fans, the main game mode is the battle mode, which you can dive into right away. Here the objective is to win by having more capture points. Usually there are three different towers, buildings or capture points that you have to take over, and this is where you fight most of your battles. Just like in any comparable Battlefield game, the more manpower you bring to a capture point, the more likely you will claim it. The fights shift all over the map and the concept is simple. 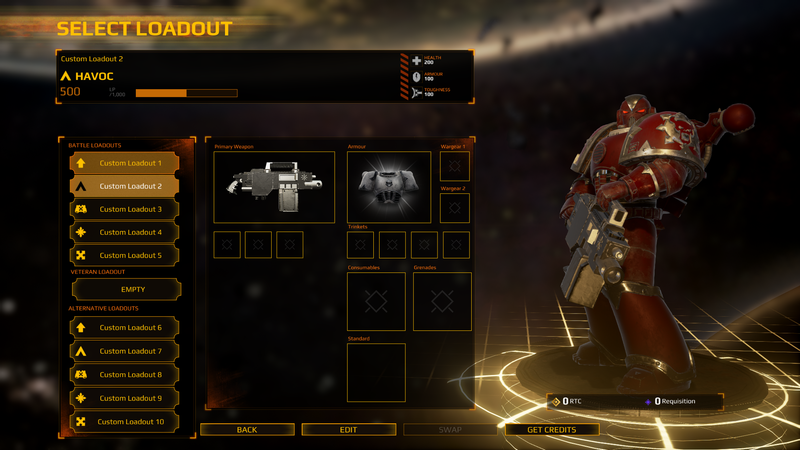 Although guns are the obvious choice to take into battle, in Eternal Crusade it’s not all about the flying lead. You will also be able to bring in armored vehicles that can function as an extra spawn point or an extra foothold on the field with a powerful turret giving you the extra firepower to lead a charge. Warhammer is also known for its axes, swords and chainsaws. These melee weapons aren’t to be messed with either. Obviously where a gun is the best pick for the longer ranges, melee weapons absolutely dominate indoors and their extra mobility makes them a very dangerous threat on the field. In my opinion the melee weapons might be a little too strong. Even though I played all the four different factions, I felt like the melee weapons dominated and heavily influenced the outcome of the game in every single match I played. 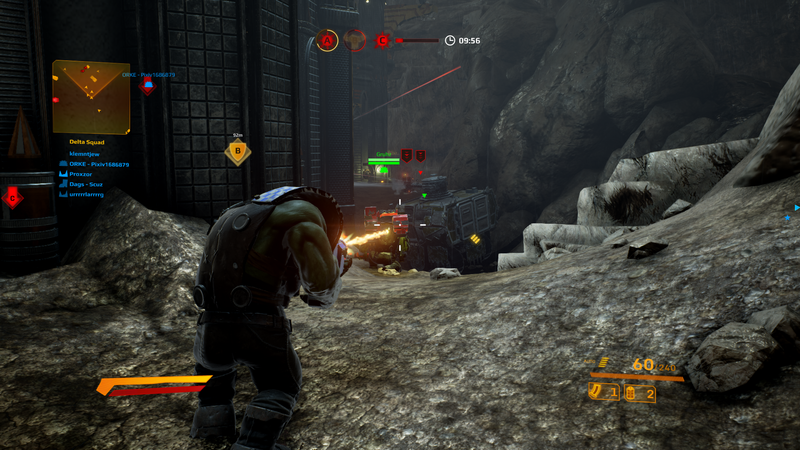 You can kill people in just a few hits, while the guns, especially the ones in the hands of the Orks, require a lot more time to kill someone. 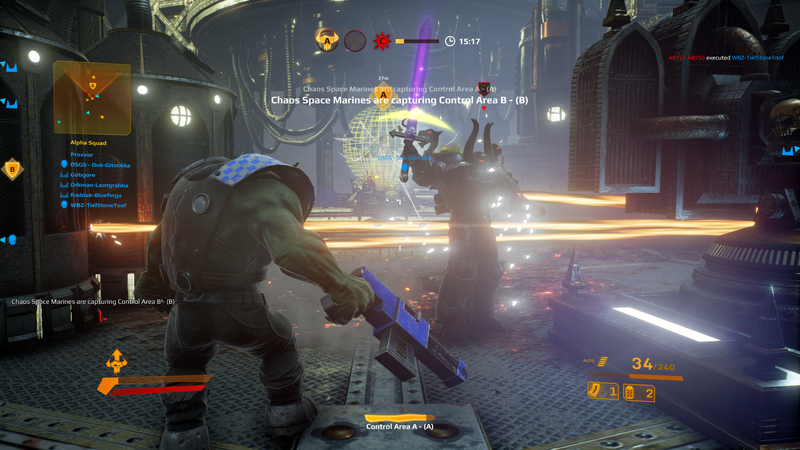 While guns can be used from a larger range, the mobility of most players with a melee weapon allow them to stand in front of anyone they see in the matter of a second. When you are trying to fight someone with a sword with just your gun, it won’t take a long time before you are smacked onto the ground and executed in a brutal animation. However, the flaws from Early Access continue to show even after the game’s launch. As a Warhammer fan I didn’t mind the obvious balance issue. I had fun playing as an Ork, and despite only winning perhaps 10% of my total games, I think the game was enjoyable all around. But we have to be fair here: the game still has a lot of placeholders, there is still a bunch of gear missing, and sometimes you see glitching corpses teleporting around on the map making you question if there is some weird type of voodoo taking place. The game right now is extremely fun, but not quite finished. The game in its current state isn’t very optimized either, and despite my computer being able to run every game on its absolute max, my rig still had its issues playing Eternal Crusade smoothly even with graphics turned down. This is all expected from an Early Access game, where you have to keep in mind that the game is still heavily being worked on and it will all get better over time. The fact that the game has launched with these issues unfixed, however, is a major concern. We have seen a lot of Warhammer games over the years: strategy games, shooters, and even a MMORPG that showed potential before dying off due to poor design choices. Looking back at all these games, they all had some form of flaw that eventually got the best of them. 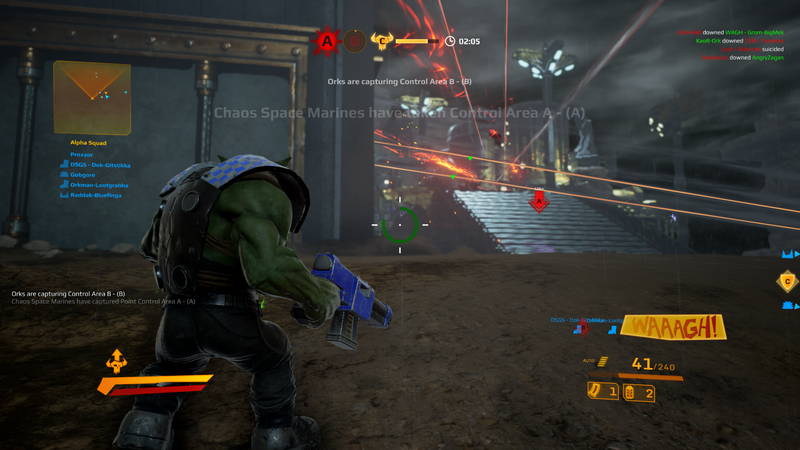 In early access, Eternal Crusade looked very promising and I had an absolute blast playing it. Despite its flaws and the balance issues, I do recommend every Warhammer fan that likes shooters to check it out. The price is steep, but you really get back what you pay for, and the game is a lot of fun with an active and passionate community. Let’s just hope this isn’t another good Warhammer game pushed down the drain by incompetent management.